I'm a little bit rusty... dah lama tak mengajar. Earlier tonight had a very special class. 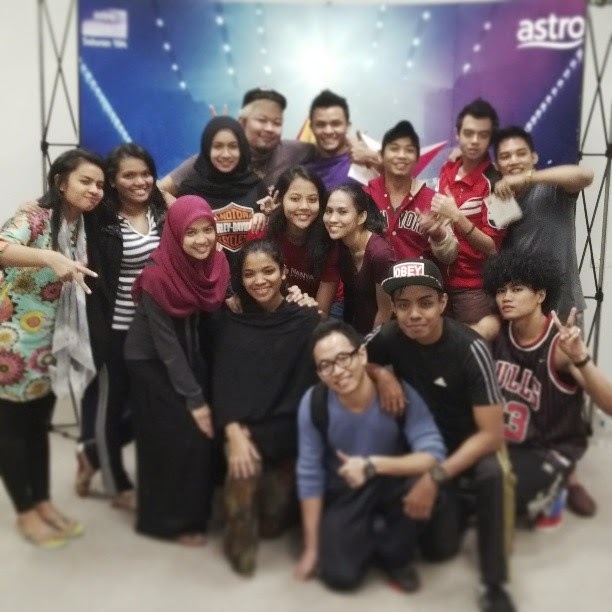 Focusing on the subject of social media and PR and it was for the new chosen contestants of Akademi Fantasia 2013. Dari persembahan mereka, I have to say they're quite a talented lot. Sadly enough since bab pertandingan ni... of course only the strong survive... and I have already three or four favourites who I believe will do well in many aspects of the competition. I think I scared the kids just a little bit... but all in all - I'm proud for having such a great bunch of kids to train. Though I noticed one or two not paying attention. Tunggu ko keluar dik... reality bites hard. To Aisyah, Amira, Azhael, Iman, Indah, Darren, Faizul, Irmisa, Nabila, Nona, Sani dan Suhada - all the best! Hello Kyoto! My first two days in Japan!